We had the pleasure of meeting Graciele at our Marina studio after she took one of Sebastien Lagree’s guest classes; She had this glow of happiness mixed with a sense of calm about her. 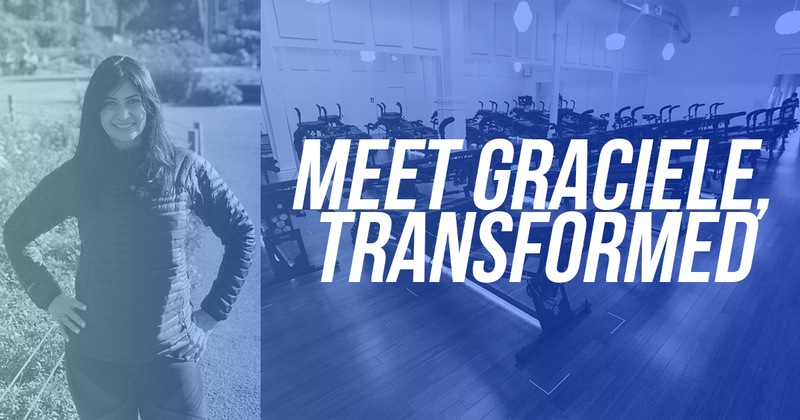 After relocating from Florida to San Francisco for her career in financial services, Graciele made sure there was a Lagree Fitness studio within walking distance from her apartment. We wanted to know more about her avid commitment to Lagree Fitness and her journey to the CORE40 Tribe. Graciele’s philosophy for health is to commit to her wellness in the same way she does with her career, family and friends. Her friends poke fun at her because she sleeps in her yoga pants, but she’s more likely to attend her morning workout if she makes the wardrobe commitment ahead of time. Her results have inspired a few of her friends to try CORE40 with her, which hints that her eclectic accountability methods have some rationale afterall. When it comes to the workout, she loves that it engages her entire body in class, which isn’t something she achieved when weight lifting at the gym. It leaves her body energetic, and her mind calm and relaxed (hence the glow we noticed when we met her). She appreciates the support of CORE40 trainers and she encourages any newbies to ask questions and to move slowly in every move. The word she used to describe being a CORE40 Tribe member is, “Fortunate…I feel fortunate to be a part of an empowering community.” We’re so grateful to have you in our community, Graciele. Be sure to say hello to her next time you see her scrambling eggs or kicking donkeys next to you at the studio!